How do people formulate an idea for a new business? How do they identify a business concept that stands a good chance of being successful? If you’re near a college, and they are not enough places to buy a pizza and get some beer, well, that’s probably a successful business waiting to happen. Or, if there are enough places to get a pizza, but not enough places that will deliver a pizza to the many students in their dorms that don’t have a car, again, those are good odds for success. That’s simply identifying an under-served market for a proven product. Then there’s the other type of new business; the product or service that doesn’t yet exist where you want to provide it. “Where” might be the city you live in, the whole country, or the whole world. Examples would be stand-alone gourmet coffee chain stores (Starbucks), or Pandora, the music streaming service. Or Facebook, along with its ill-fated predecessors, MySpace and Friendster. Who knew how much the consumer public would want these products once they showed up? No one, that’s who. Sure, the people behind these businesses knew there would be some demand for what they offer, but they had no idea whether it would be enough to make it a viable business when they first started the endeavor. It was something that they were personally interested in, and other people seemed equally interested when they explained the business concept to them, and voila – a business was born into this world. Here are some more recent, smaller examples. Wills Mahoney, launched a company called Plowz in upstate NY (Syracuse, to be more precise). It snows a lot in upstate NY, about 125 inches of snow every winter. Mr. Mahoney always had a hard time finding someone to plow his mother’s driveway, and so he started a company to develop an app that would put snow plow drivers and people that wanted something plowed in touch with each other. If this concept sounds familiar, it should – it is how Uber, the car service, started their business. Plowz makes money by taking a percentage of whatever the plowing job costs. Plowz started with 20 snow plow drivers in Syracuse early this winter, and in two months time, has already expanded to Buffalo, Rochester, Minneapolis and St. Paul, cities that also get a lot of snow. Mahoney says they may be in as many as 25 cities by the end of the winter season. Plowz has sixteen employees already. Ever heard of a company called Murfie? Murfie is a company you can ship your CDs and vinyl records to, and they will store those things in their warehouse, AND, make a digital copy (in different formats) of the music you sent them. You can have your CDs or records back anytime you want. Not only that, you can buy CDs or records from the other users that want to sell, or, trade. Wait, there’s more. When you buy a CD through Murfie, you get the CD, the digital file and the ability to add to your streaming library, all for the cost of the CD you purchased. Prices range from $1 to $6, but it looks like the average price is right in the middle, at $3. Murfie was started by a couple of guys a few years ago, and the reason they started it was because they had this “stuff” (CDs, records) taking up a tremendous amount of space in their houses/apartments, and they hardly ever pulled them out anymore since they were listening to digital files. But, they didn’t want to give up ownership of their stuff, and they still wanted the music on all of these CDs and records, and they assumed there were other people just like themselves with the same problem. Yes, a business was born into this world. They’re doing well. This is how new services/products happen. This, and the willingness to take a chance. Because, remember, most new businesses fail. Some of our clients here at Sareen and Associates have had one or two businesses fail before they hit the winning combination of product and demand. But they’re not afraid to take another chance, and so they do. So, just think it over a little more – maybe that idea you came up with isn’t so crazy after all. It’s not hard to come up with ideas but its hard to know which ideas stand a chance of succeeding and that’s the problem. Which ideas are worth spending time and money on for a market trial or a startup? For some of these things there are no good qualifying criteria, you just have to take a chance and try it. And that always costs money, and time, and time is where you could be making money doing something else so its costing you twice. HAHAHAHA! 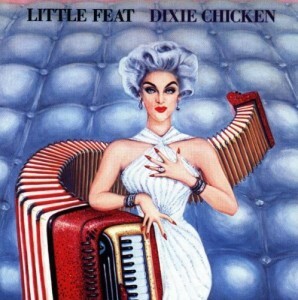 I am loving that Little Feat album cover! That really takes me back, I just might have to order that off Amazon tonight. I’d settle for doing something already known, but doing it better and making a lot of money at it. I’m not interested in being a trailblazer, I’m interested in profitability. I just need one good idea, just one good idea. That Murfie company is a great idea. So obvious once you think about it. I have my own business and it’s great because no one can fire me. My dog tells me good ideas all the time. And, oh yeah, I get good ideas from fortune cookies, too.